Why am I here? Where am I going? The answers to these fundamental questions affect the way we live and the manner in which society functions. 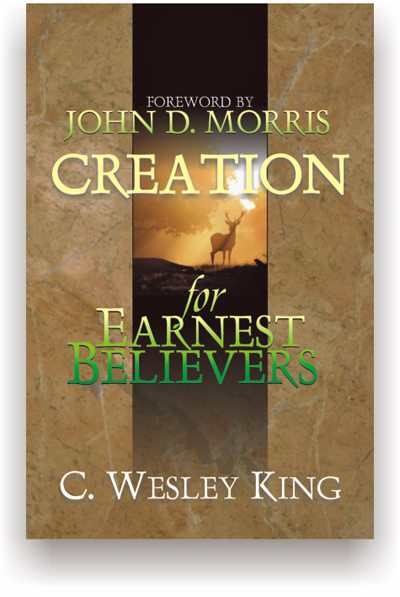 C. Wesley King (Author of Holiness for Earnest Christians) discusses the very essence of the debate in Creation for Earnest Believers. He boils down intricate theories of evolution and creationism into easy terminology, and examines the logical conclusions of each— “why it matters.” Are evolutionists the only truly intelligent, and all who believe scripture merely superstitious dolts? The author says otherwise, and backs it up with reference to scientific evidence and data. He hails mighty men of science who were also dedicated believers and shows how throwing over the Genesis account results in such horrors as Hitler’s Nazism, the decay of social structures and the dissolution of entire civilizations. When you are challenged by the ungodly about your scriptural beliefs, here is a toolkit of powerful tools.